Unsure what to do for lunch? 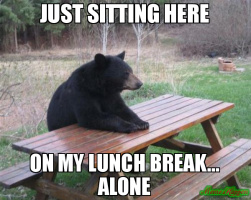 All your lunch buddies have meetings or have eaten? Sign up to the Lunchmate and be randomly matched with 2 other people for lunch. You can choose the day/date that week, it cannot be combined with the whole office lunches.